Standing on the stage since the early age of twelve, Tim is right at home entertaining audiences. His ability to engage the audience and draw them into his songs is what separates him from the average entertainer. His characteristic hard work ethic has led to four independent releases…. Boderline (2009), Free To Run (2011), Three of a kind EP (2013) & his latest effort, Just Passin’ Through (2017). Subsequently, his passion for music was rewarded when he was nominated for ICoMA(Independent Country Music Association) Best Country Male Artist in 2013 and again in 2014. His album Just Passin’ Through, was recently awarded the September 2017 Akademia Award as well as The 2017 Tammie Award for “Best Country Album”. Wanting to further his musical experience, he relocated to Austin, TX in January 2015. Proceeding to play clubs throughout central Texas, he introduced his brand of country to an entirely new audience. The exposure eventually led to the opportunity to open for country artist, Hal Ketchum at the 2015 Blanco River Flood Festival. 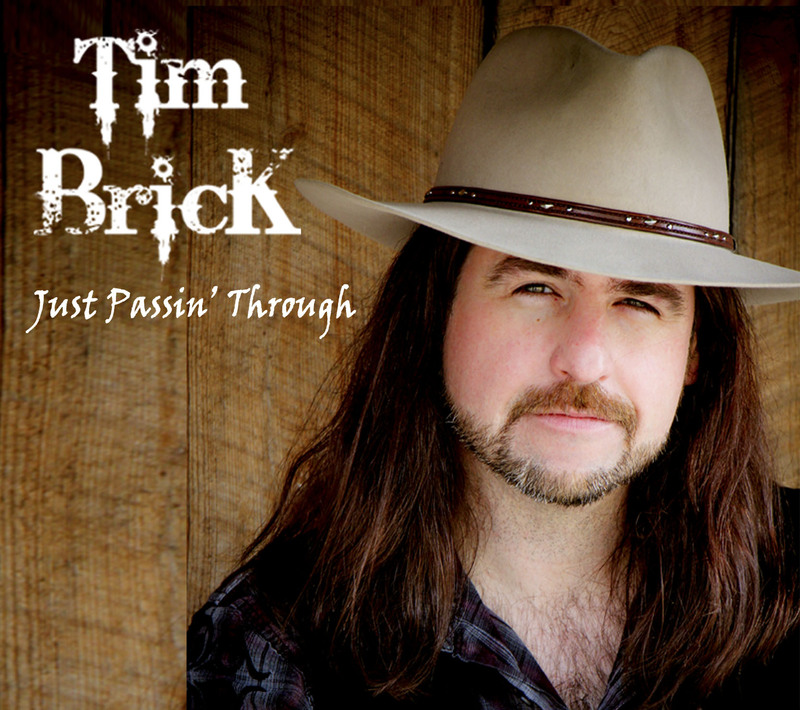 Tim has since returned back to the roots of his Green Mountain Home to continue his musical journey. State your favorite genre of music and your reason. I love Outlaw Country…. Overall just a good country rock sound! Love it. For the most part, my experience as a musician has been good. I’ve had the opportunity to meet and play with great people as well as performing in great venues. Music has been the driving factor in regards to the people and places that have decorated my life. Any bad experiences I’ve had have usually derived from the “business” part of the “music business”. You have to be aware of your surroundings when dealing with things in this business that’s for sure. I would say simple living is the theme of “Country Style”… laid back, cruisin’ with the top down. I guess the primary people would be Colin McCaffrey (producer) for bringing out the best in my songs and for bringing in great musicians like Russ Lawton (Drums) & Eric O’ Hara (Steel Guitar). My road band…. Gary Spaulding (Drums), Scott Cornielle (Bass) & George Seymour (Steel guitar). All the DJs who spin my music on the radio and support indie music. And of course, all the fans that spend their hard earned dollar to hear the music and support live music. Write and record another album and stay on the road and stage bringing the music to the people. Religion is good for starting conflicts and controlling the masses. I consider myself to be a spiritual person, but I have never felt a connection to organized religion. The only thing that ever spoke to me was music. As far as politics, I’m an independent thinker and voter. I feel the times we’re in call for true patriots and leaders who put country before party. The lies and deception the flow through our political system doesn’t differentiate between Democrat or Republican. Democracy is a fragile thing that must always be looked after and protected against the constant erosion of corruption. Bruce Springsteen said it best… “Blind faith in anything, including your leaders will get you killed”. For the most part, my songs attempt to connect on a basic emotional level with the listener through feelings and experiences that most people can relate to. I think my fans can enjoy my songs being a part of the musical tapestry of their lives. I would say Waylon Jennings is the artist I cherish most. I love his music and his voice. Especially, the 70’s era of his career. Even though he wasn’t a prolific songwriter, whatever song he did, he immediately made it his own. I also respect the fact that he stood up for what he believed in and proved that an artist could achieve success doing it his/her way. I usually work off of a feeling which tends to develop from the inside out. Sometimes a phrase, imagery or a personal experience might trigger an idea or theme. I also go through editing stages and rewrites throughout the process until I find what I’m after. I certainly don’t mind collaborating with other artist on occasion, but I decided early on that ultimately, I would be the pilot of my own ship. I used to struggle with this as an artist/entertainer. I guess each person has to decide, but I decided that I have to do what makes me happy. Whether it is a danceable song with or without a message, I have to feel the song in order to perform it. I’ve always thought the difference between a pure artist and entertainer is an entertainer will generally do what makes the audience happy, while an artist will always do what makes him/her happy. Of course, there are examples of having the best of both worlds too. All my songs are copyrighted through The Registrar of Copyrights at The Library of Congress. Being associated with a PRO such as ASCAP/BMI is an important step in an artist career. They’re crucial in tracking your song plays on radio as well as live performances, while collecting the proper royalty payments for you and your publishing company. My songs always begin with me and an acoustic guitar. From there I develop the arrangement while working with the band developing further instrumentation. Once I’m in the studio, my producer Colin McCaffrey, contributes a lot of ideas for additional instrumentation. His ability to play many instruments and having incredible ears makes him a great asset to have guiding me through the studio process. We started by recording a rough demo of the vocal with an acoustic guitar. Once the arrangement was set we rerecorded the acoustic guitar, and then laid down the drum tracks along with the bass. After that, the pedal steel parts were recorded, then the electric guitars. Next on the list were the main vocal tracks… once those were completed, the harmony vocals were added. The song was completed in 4 sessions at the studio before moving onto final mixing and mastering. When I go into the studio, I’m all business. I love to work in the studio, but time is money so you have to get the most out of the time you have. I always approach my performances with passion. I feel the music I play and I try to connect with the audience through the music instead of relying on choreography and smoke and mirror gimmicks.